To link your HubSpot account to your RingOver account, go to https://myringover.com/settings and scroll to the bottom of the page. 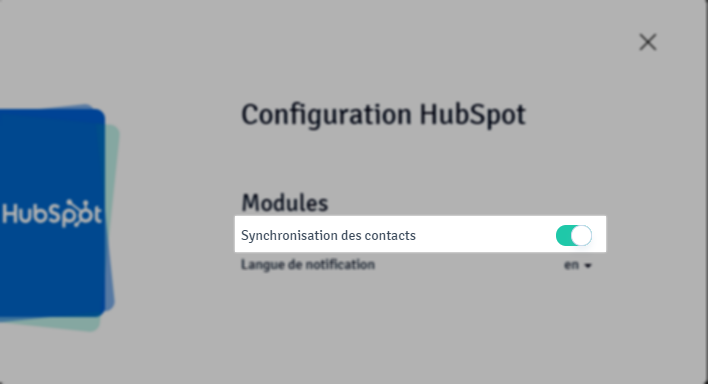 IMPORTANT: you need to be a Superadministrator user in Hubspot during the connection process. You can recover your initial rights after that. 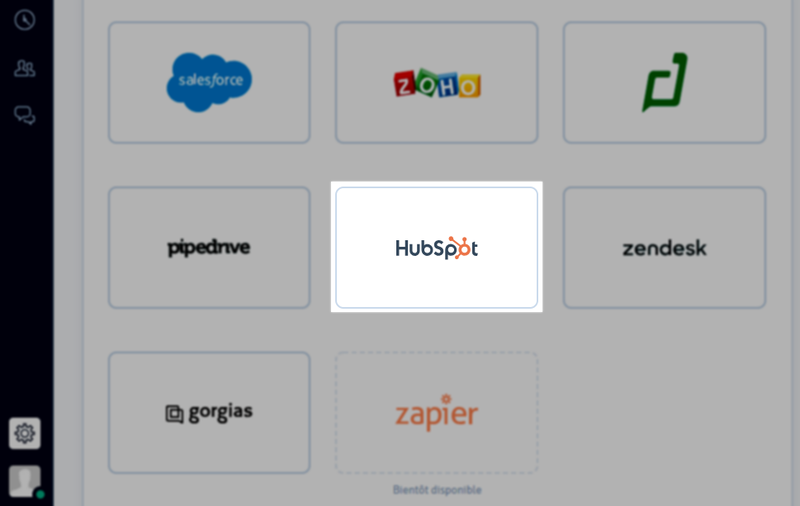 Click on HubSpot. Enter your identifiers and log in. 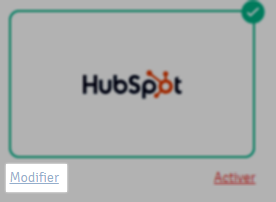 If you are already logged in to HubSpot in another window, you do not need to do so again. 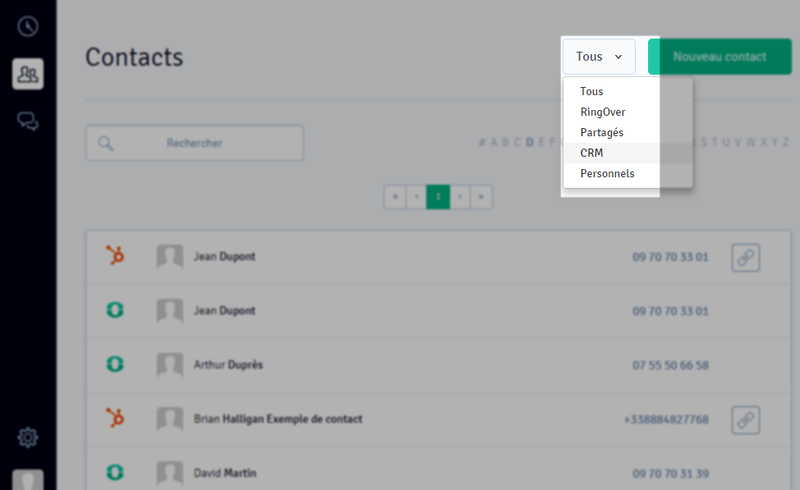 To check that your contacts have been synchronised, go to https://myringover.com/contacts, then select “CRM” from the scroll-down menu at the top right.